In recent years, we’ve experienced an explosion of litigation surrounding § 101 of the Patent Act. That section is intended to preclude patent protection for laws of nature, natural phenomena, and abstract ideas. This is fundamental to the patent bargain. Without this limitation, parties could obtain harmful monopolies on simple ideas, e.g., ways of running a business or cooking a meal, and be able to (in theory at least) prohibit people from implementing those same ideas. Historically, courts found that most software-type inventions, primarily algorithms, were too abstract to receive a patent. Beginning in 1998, however, that all changed with a Federal Circuit ruling in State St. Bank v. Signature Financial Group, which opened the doors to patents for novel methods of doing business. That ruling knocked patent law loose from its historical moorings and injected patents into business areas where they were neither needed nor wanted. In 2009, the Supreme Court revisited the question of patentable subject matter in a case called In re Bilski. There, the Court found the patent at issue (one for hedging commodity risk) too abstract, but failed to provide a test for abstract subject matter. In the wake of that case, the Federal Circuit and district courts only managed to further confuse the issue, ruling inconsistently on many cases and failing to give litigants any real guidance on how to apply § 101. This uncertainty led to a dangerous (and expensive) increase in patent litigation, bad news for innovators and for technology. However in successive opinions in 2012 and 2014 the Supreme Court stepped back into the debate. First, in the Supreme Court's 2012 opinion in Mayo v. Prometheus, the Supreme Court held a patent invalid because it took laws of nature and merely included “well-understood, routine, conventional activity previously engaged in by researchers in [the] field.” Importantly, the Supreme Court extended its ruling to cover all categories of § 101 ineligible subject matter, signaling that it also thought its ruling should apply to software. This set the stage for an important decision in Alice Corp. Pty. Ltd. v. CLS Bank International. The patents in Alice covered a computer system that helped with closing financial transactions by avoiding settlement risk (the risk that comes with any financial transaction if one party cannot uphold its end of the bargain). The lower court found this invention—which "simply provides the formula, or manner, in which to use an electronic intermediary to exchange obligations as a way to hedge against the risk of loss"—so abstract that it was unpatenable. In July 2012, two judges of the Federal Circuit disagreed and held that implementing this invention on a computer system made it non-abstract and thus patentable. Ten judges on the Federal Circuit agreed to rehear the case (where we filed a brief in support of CLS Bank, which you can read here); in May, 2013 they issued a 135-page fractured opinion in which the only thing the Court could seem to agree on was that the patents were invalid. On December 6, 2013, the Supreme Court granted certiorari to review the case; EFF filed an amicus brief arguing for a robust § 101. On June 19, 2014, the Supreme Court unanimously found the patents invalid, in an opinion that has since resulted in lower courts invalidating many software and business method patents. The Court recognized that Alice's abstract concept of “intermediated settlement” was “a fundamental economic practice long prevalent in our system of commerce.” Having done this, the Supreme Court reaffirmed that merely adding “a generic computer to perform generic computer functions” does not make an otherwise abstract idea patentable. This statement (and the opinion itself) makes clear that an abstract idea along with a computer doing what a computer normally does is not something our patent system was designed to protect. Since Alice, courts have been widely applying it to invalidate some of the worst patents out there. One notable example, showing how the law changed in Alice, can be seen in the history of Ultramercial v. Hulu. In Ultramercial, the Federal Circuit in a 2011 decision, upheld a patent that claimed a process for doing no more than viewing ads online before accessing copyrighted content. The court concluded that the patent was not abstract because the steps were completed on the Internet, despite the fact that the underlying idea—viewing ads in exchange for content—was indeed abstract. We twice joined the defendants in asking the Federal Circuit to revisit this dangerous ruling; initially, it refused. In May 2012, the Supreme Court ordered the Federal Circuit to reconsider in light of Mayo. Despite this guidance, the Federal Circuit again upheld this absurdly abstract patent. The defendant appealed to the Supreme Court once more, and not surprisingly, the Court sent the case back to the Federal Circuit to reconsider its ruling in light of the Alice Corp. decision. EFF again filed an amicus brief supporting invalidity. 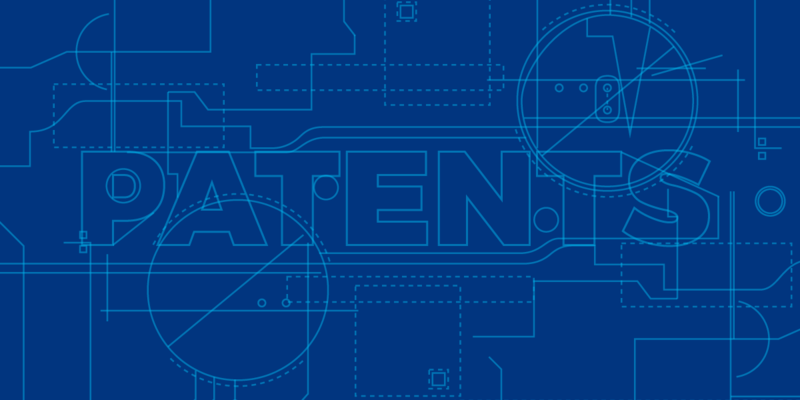 On November 9, 2014, on its third try, the Federal Circuit finally held the patent invalid. In addition to applying Alice's rule, the case gave defendants an important tool to dispose of abstract software patents early: the Court affirmed the district court's decision to dispose of the case on a motion to dismiss. This avoids costly discovery at the district court level (although this particular case did drag out for years on appeals). An early procedural dismissal makes it harder for patent trolls to use the costs of defense to extort settlements. In June 2015, the Supreme Court refused to review the Federal Circuit's latest opinion, finally killing this patent for good. In Alice v. CLS Bank, the Supreme Court ruled that an abstract idea does not become eligible for a patent simply by being implemented on a generic computer. This 2014 decision has significantly reduced the harm caused by vague and overbroad software patents. EFF celebrates the anniversary of the Supreme Court’s landmark decision in Alice v. CLS Bank. In Alice, the court ruled that an abstract idea does not become eligible for a patent simply by being implemented on a generic computer.